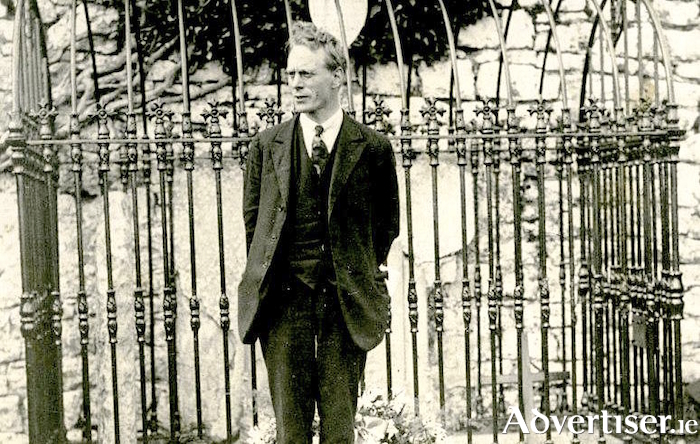 Galway's 1916 Rising leader Liam Mellows, elected MP for East Galway in 1918. Tragically he would be executed during the Civil War. The MPs refused to take their seats in Westminster to demonstrate that Britain had no right to rule Ireland. By the following year the first Dáil had been established and the War of Independence was under way. The election was also significant in that it saw the election of the first female MP - the radical Irish republican Countess Markievicz; the obliteration of the Irish Parliamentary Party, which lost 67 seats, winning only six; while the Irish Unionists won 22 seats, a gain of five, despite a 3.3 per cent drop in its vote. To mark this turning point in Irish history, the Galway City Museum will host a special lecture on Saturday December 15 at 2.30pm, entitled Revolution and the Ballot Box – the 1918 Election in Co Galway, by Dr Conor McNamara. Dr McNamara, author of War & Revolution in the West of Ireland: Galway, 1913–1922, will discuss the background to the general election – the first held since the Easter Rising – with particular reference to County Galway.